Homage to our magnificent, often fierce, spring winds that sometimes seem determined to sweep all before them — hats, signs, birds, petals, leaves, fences, roofs, trees, and especially electricity. Field recordings made 2016 and 2017 at three locations on the Pacific Coast of Fort Bragg, CA. 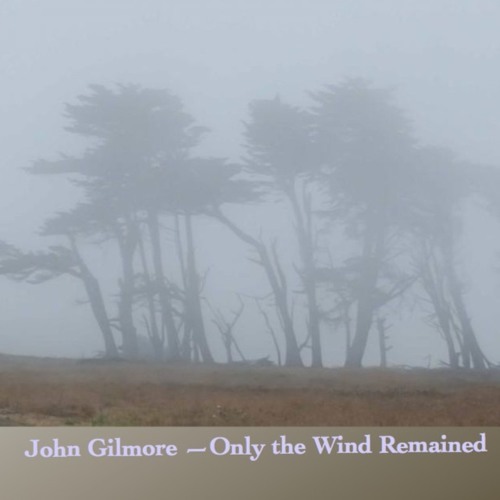 This track © 2017 John Gilmore, all rights reserved. Photograph by Sara Evinger of trees in fog at north end of oceanfront trestle bridge over Pudding Creek just north of Fort Bragg. Used with permission. @beta-lab: Glad you found it so Thanks very much. @mikeintree-1: Thanks so much. It was fortunate to have a bountiful supply of wind to bring. here you bring us to the essence of sound: air moving as wind. Thanks for this magnificant insight! @siggi-we-164684013: Thanks for this lovely description and compliment, Linde. Feel the elements. The magic of the wind. In a breath it hugs you at the other moment, it is a drifting apart. Very beautiful composition! @aktina: Thanks so much. Nothing like being out in it to get a bit of its essence. @rosmarinobaia: Thanks so much for both comments. It's always a very real experience to be in those sometimes gale-force winds!